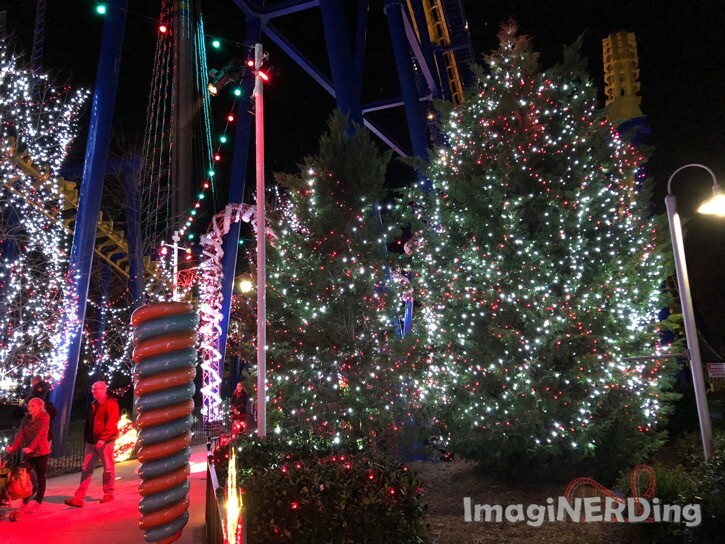 Carowinds Winterfest debuted for the 2017 holiday season at the Charlotte, North Carolina, amusement park. Following in the footsteps of the highly successful Winterfest at Kings Island, I wondered how this event would stack up to other holiday events, like Dollywood and Walt Disney World. Check out my Winterfest at Carowinds video! 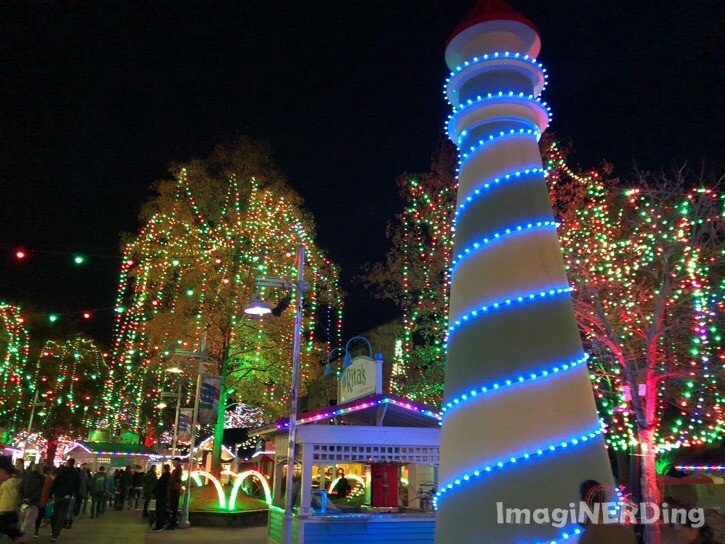 Carowinds used over 5 million lights in the Winterfest event. There is also live entertainment, ice skating and special holiday foods. It’s promised that at least 16 rides would be open each evening of Winterfest. One thing I noticed is that the majority of the rides open were in the Planet Snoopy area and had very long lines. Granted, opening Planet Snoopy makes the most sense based on the intended audience; with the conversion to Camp Snoopy, though, there were construction walls and a few rides missing (check out my video link at the end of the post for more on Camp Snoopy at Carowinds). Overall, it was a very enjoyable event, but I loved the Smoky Mountain Christmas at Dollywood so much more. Everything at Carowinds felt like it was temporary and placed without a lot of forethought. My biggest gripe is that the smoking areas were right in the middle of areas in which kids and families had to pass through. It was really annoying and made walking through Candy Cane Lane and going into Harmony Hall rather aggravating. There were also some crowd control issues, which I relate to guests simply not sure what to expect. Still, Winterfest is a fun way to stroll through millions of Christmas lights and get your holiday feelings. There were plenty of performances and activities, but the overall feeling was that the lights were the true spectacle. I do hope that Carowinds learns a lot from the 2017 Winterfest and we see some improvements for the following year. Are you going to visit Carowinds Winterfest this year?